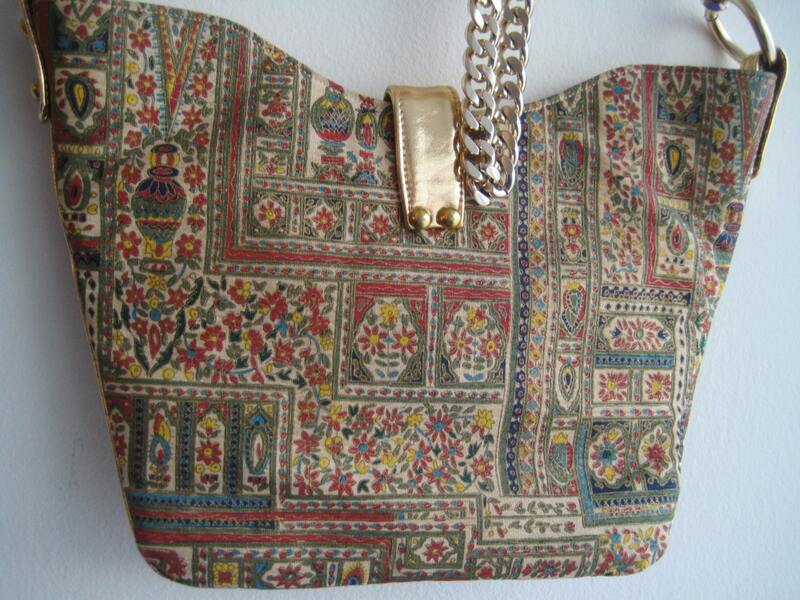 Cute 70's fabric canvas-sided bag with red and gold based design. 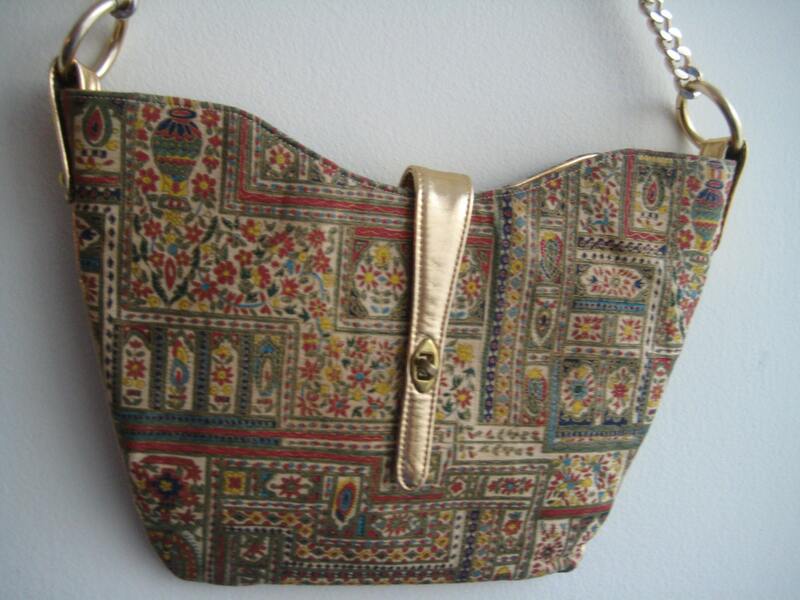 Gold lame trim and key hole strap. 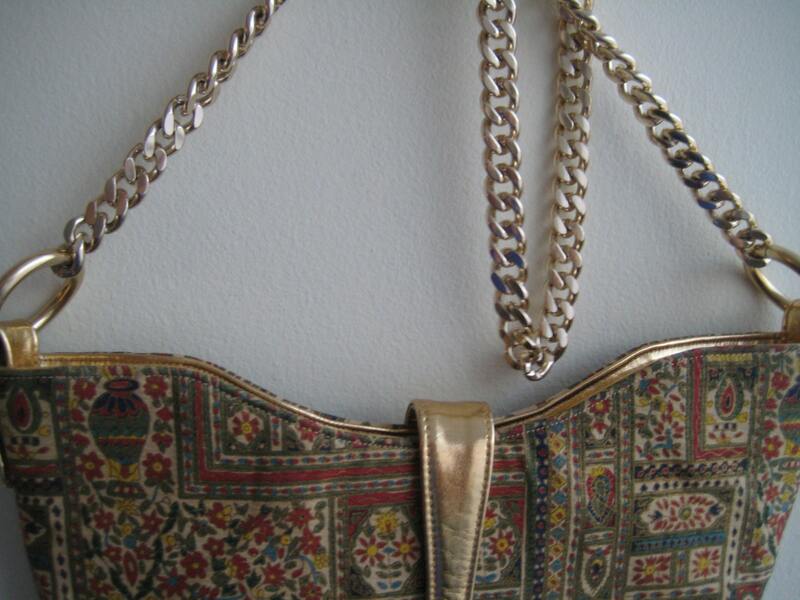 Fab gold chunky metal shoulder strap with a 20 inch drop. 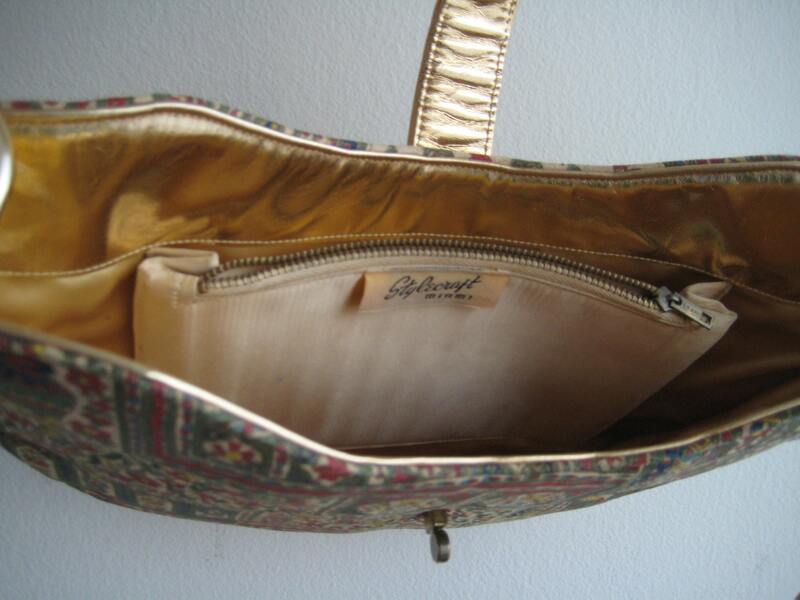 Gold satin interior in wonderful shape. Almost perfect. One metal zipper pocket and one patch pocket. A few light pencil marks inside. Dimensions: 12 inches long at the top edge x 9 inches tall at ends.